This post is sponsored by Annie’s Inc. Thank you for supporting the brands that help make TFD possible. As always, all opinions are my own! A review of Annie’s (brand new!) Organic Whole Milk Yogurt. 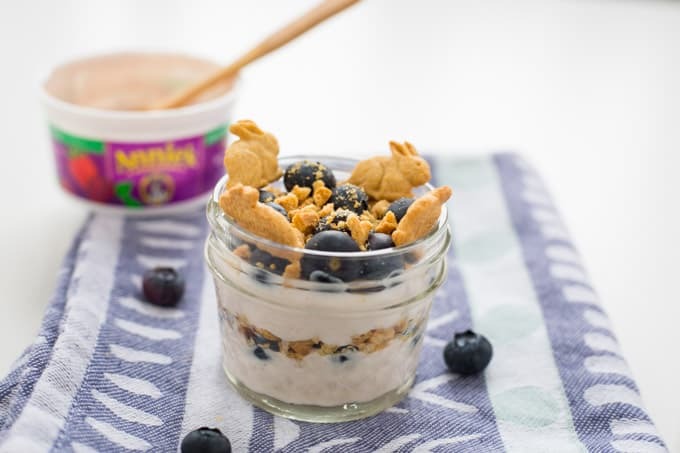 Read on to learn why this dietitian does not fear fat and spoon into my creative and fun yogurt parfaits your family is sure to love. I’ve been a long time fan of Annie’s Homegrown. Not only did Annie’s humble beginnings start in the city I call home (Boston) but today the company continues to exemplify the social responsibility that Annie set out to create from the start. They care about their carbon footprint and publicize sustainability reports to prove it and they are passionate about giving back to the community, whether it be through grants to fund school garden learning programs or scholarships for sustainable agriculture to support the next generation of America’s farmers. They also strive to make food you can feel good about, with no synthetic colors, synthetic preservatives, artificial flavors, and GMOs. Plus, their brand personality roots are kind of “crunchy-granola-ish”, which I totally jive with. I mean anytime a company’s tee-shirt is tie-dye I know I can get down with them. NEW organic whole milk yogurt line I was all like hands in the air, wave ’em like you just don’t care! Their new line consists of three flavors: Summer Strawberry, Berry Patch, and Very Vanilla. 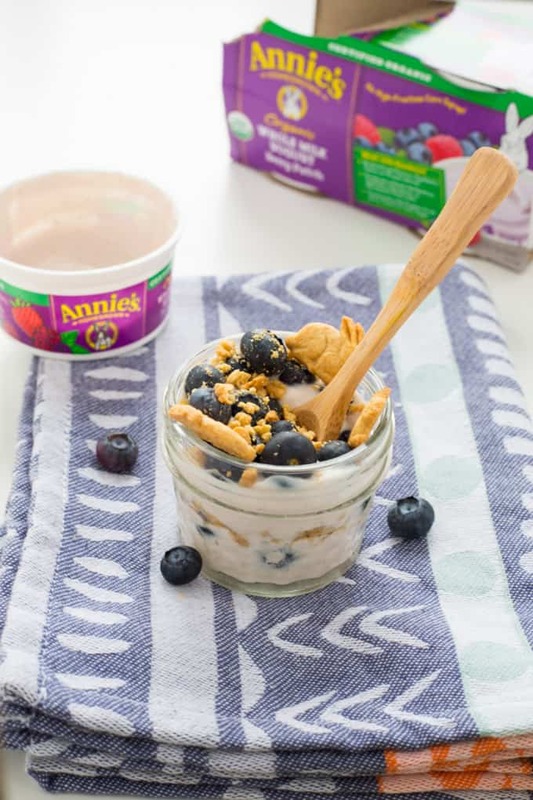 In line with the rest of Annie’s product profile, their yogurt is made with simple, real ingredients like organic whole milk, real fruit, no GMOs, artificial flavors, colors, or preservatives. Each 4-ounce serving contains 100 calories, 4 grams of protein and 3 grams of fat. While this product is intended for kids, it can totally be enjoyed by the whole family, whether for breakfast, a snack, or even dessert. I commend Annie’s for making an organic whole milk yogurt. I’m the type of dietitian who does not fear fat. We need fat in our diets for our bodies to function properly just like we need carbohydrates and need protein. Twenty-five years ago when we decided to fear fat, the marketplace quickly responded with non-fat and fat-free products. But what we didn’t realize at the time was that although fat was removed, total calories didn’t necessarily change, as often fat was replaced with carbohydrates. Slowly but surely, we’re realizing that fat may not be as bad as we used to think it was, and some types of dietary fats are important. Now, I’m not talking trans fat or saturated fat from cookies, cakes, doughnuts, etc. We need to limit those fat sources from our diet. But unsaturated fats like olive oil and saturated fats from whole milk dairy products can have a place in healthy diets as long as consumed in moderation. I like to think of whole milk yogurt as “value-added.” With whole milk yogurt, you get all three nutrients needed for energy and satiety: carbs, protein and fat. And what we now know is that fat takes longer to digest so it stays with us longer, potentially contributing to feelings of fullness in some people. When clients come to me who are trying to manage their weight, I encourage full-fat yogurt as part of a healthy diet because the fat may lead to feelings of satisfaction and satiety – two potential contributors to eating less overall. Plus, whole milk yogurt makes sense for developing kiddos. The American Academy of Pediatrics recommends whole milk for kids up to the age of two (who are not at risk for being overweight) because of fat’s role in brain development for little ones. I love the creamy, rich, indulgent taste of whole milk yogurt and Annie’s Organic Whole Milk Yogurt is no exception. 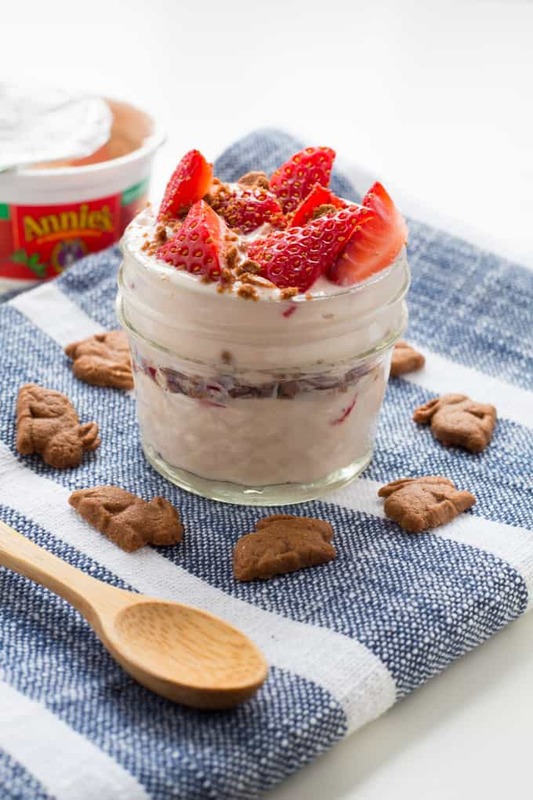 One of the great things about yogurt for kids is the versatility of what you can pair with it to make a fun, nutritious snack. I had my own fun in the kitchen with these yogurts, creating nutritious pairings that would be enjoyable for the whole fam. The packaging on these yogurt cups is also pretty adorable with space to write your own little love notes to send your kids off to school with. It’s the perfect lunchbox addition for your little ones and great for an easy, on-the-go breakfast or snack! I personally liked the Very Vanilla flavor the best (that vanilla flavor is spot on!) but I bet kiddos will go crazy for the Summer Strawberry and Berry Patch flavors. Tell me, have you tried Annie’s Organic Whole Milk Yogurt yet? Which flavor will you try first? I bought Annie’s Yogurt today for the first time. It’s very good. Is it supposed to be on the runny or thin side? Hi Kayla, so glad you like it! The yogurt is supposed to be smooth, creamy and rich, but thinner than Greek yogurt because it’s not strained. Great review. I have always given my kiddos Trader Joe’s full fat yogurt (I believe in eating whole foods, so full fat not non-fat dairy) but the closest TJ’s is now 30 minutes away. 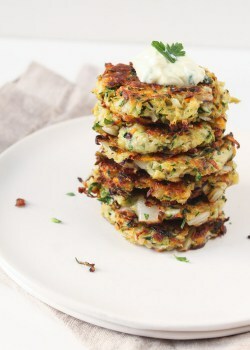 Hopefully I can find the Annie’s yogurt in my local grocery and can get these instead. Thanks, Heather. I hope you can find them at your (closer) local grocery store! LOVE this size of yogurts for school lunch boxes, do they contain gluten? I know! Aren’t they the cutest?! No gluten! My husbsnd and i were looking for yogurt for our 22 month grandson, we found Annie’s Berry Patch. I trust the Annie’s brand and decided to try it. Our grandson loves it, we’ll be buying Annie’s yogurt from now on. I haven’t tried the yogurt yet, but I wanted to comment on your yogurt parfaits. 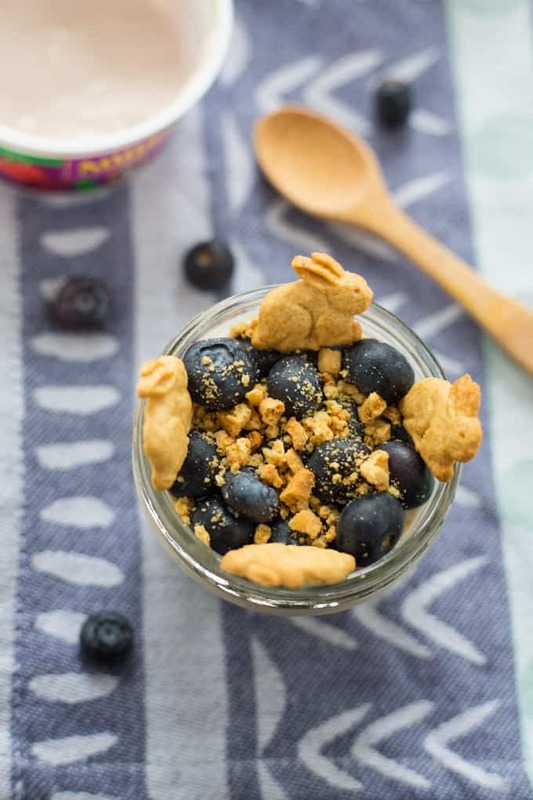 We love using the gluten-free bunnies in our yogurt parfaits at home with a little bit of whatever fruit I have on hand. It is absolutely my sons’ favorite way to eat yogurt. I love that, Leslie! They make the nutritious parfaits so fun! Hope you get a chance to try the yogurt soon! Hi Esther! There are 12 grams of sugar in each cup. that is 3 teaspoons of sugar! plus the add tapioca. Hi Lynne! There are 12 grams of sugar in each cup. Some of that is naturally occurring sugar from the milk and real fruit and they use a touch of cane sugar to sweeten. Wow…I’d like to know what the breakdown of that is. Can’t wait to try your new yogurts. I love that t-shirt too. Enjoy ’em, Lynn! Can’t wait to hear what you think. I am excited to try these! I think I’ll try the very vanilla flavor first. Your snack ideas look great! Yay! 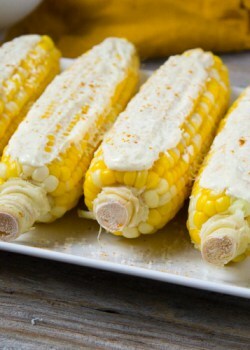 Enjoy – they’re delicious! I love Annies’s products, always great taste and quality. I also agree that whole milk yogurt is the most nutritious, and tasty! Couldn’t agree more, Rachel! Annie’s products are always high quality. Hands in the air! 🙂 Love it. And I LOVE that t-shirt, so adorable. I had no idea Annie’s made yogurt, I’m all about the whole milk kind – so much flavor! 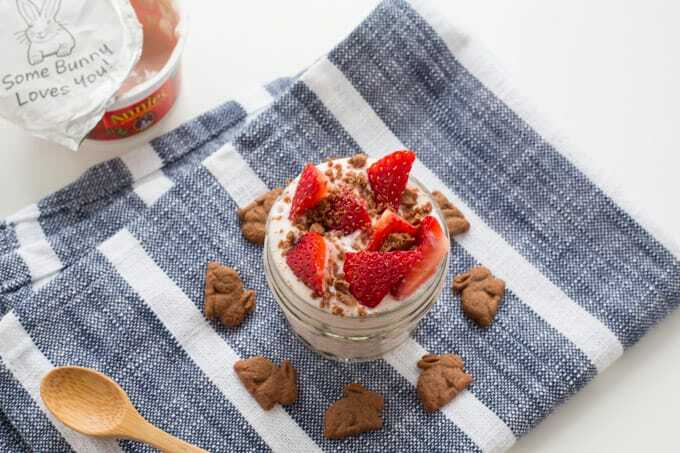 These parfaits are adorable! Haha isn’t that T-shirt the best?! Yes, they just started making yogurt! Oh No way! .. I had no idea Annie’s makes yogurt. I’ll have to keep my eye out for it! Way! They just launched it last month! Yes, keep your eyes peeled for it! 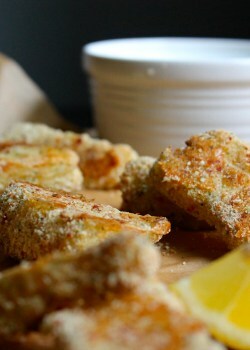 Great review, love the photos and your names for the parfaits. Graham Jam – perfect!